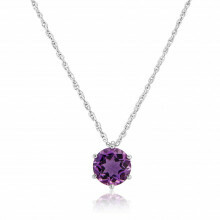 9ct White Gold Diamond and Amethyst Pear Pendant on a matching trace chain. 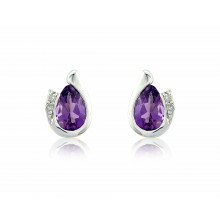 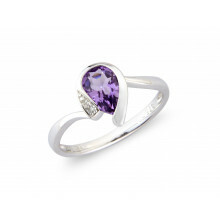 The vivid violet stone is wrapped in a simple White Gold curl set with two Diamonds. 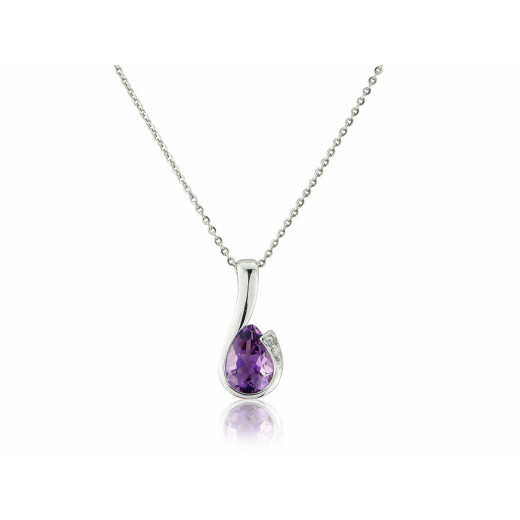 Amethyst is the traditional birthstone for the month of February and is said to bring good luck, peace and protection to the wearer.